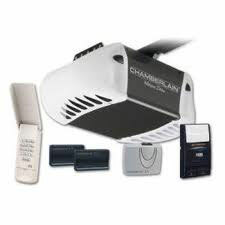 The Liftmaster garage door opener has become the most well-known type of door opener available nowadays. Actually, millions of these well-known garage doors have already been sold globally. There are various types of Liftmaster garage openers, which have been designed by Chamberlain each offering different characteristics, such as distinct horsepower engines and screw drive capabilities. Our company’s priority is to manufacture products, which are durable and convenient and focuses on security and safety features. In fact, it encourages its clients to replace their old garage door openers to ensure better operation and maximum safety. If you want to check that your garage door opener functions properly, you can put an obstacle between the open door and the floor and then press the remote to close it. Under normal conditions, the door will reverse its operation when it will sense the obstruction. If not, you have to call for professional assistance immediately. The technicians will detect the opener for any possible damages, which may keep your door from operating properly and may be hazardous to you. They will check the sensors, the remote and all the related parts just to ensure that it will function perfectly. Openers have an electric motor which works with a drive. There are three different drives: the chain drive, which is loud but inexpensive, the screw drive, which is less noisy but more expensive and the belt drive, which is the best in the market because it doesn’t make any noise but it’s also most expensive. The pleasure of having an opener installed is the convenience remotes give you. They enable you to open and close your garage door without stepping out of your vehicle. This way you will feel safer since you cannot be harmed by potential offenders or be exposed to extreme temperatures. Liftmaster garage door openers can be matched with a variety of accessories depending on your requirements and your lifestyle. You can choose the universal remote, which will enable you to operate two different openers by the same unit; in fact, the premium remote will light up as you approach it and therefore you cannot miss the button when it is dark. You may select the keyless entry system, which will control the operation of your door via a code and actually the Liftmaster Security +, which has rolling code technology keeps you even safer since the inner code changes every time you open your garage door. This way it cannot be traced by thieves. You have the choices and you have the expert technicians to talk you over the differences and repair any possible damages. Technology is speeding and we are keeping up in order to be able to provide you absolute security.